Antenna tripods offer fast, easy installation for one person. The legs adjust to any rafter spacing. Available in a range of sizes, tripod mounts are shipped completely assembled with no loose parts so they can be quickly installed at your location. 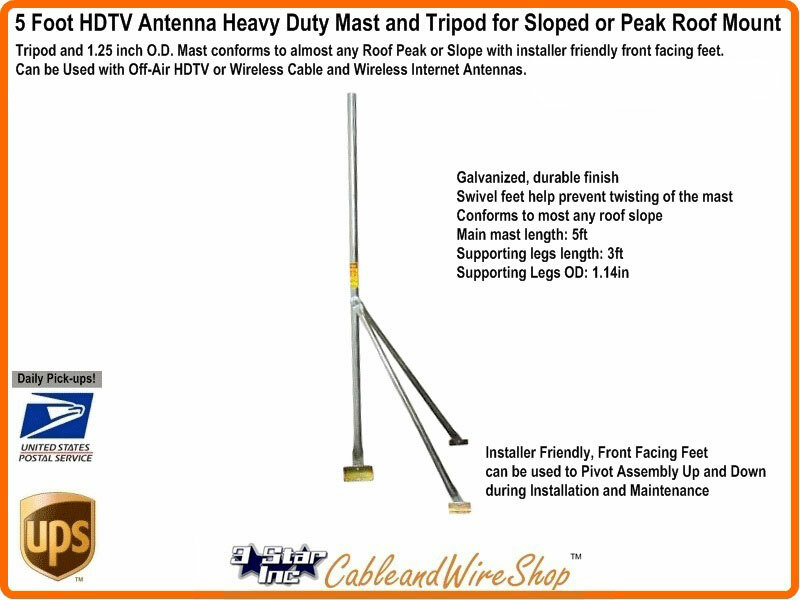 Achieve better reception & maintain neat appearance with high quality self-supporting antenna mounts that eliminate signal distortion caused by inferior materials.